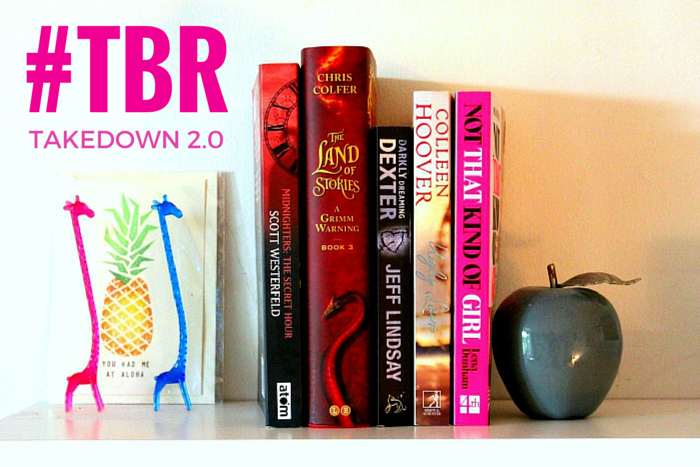 The TBR Takedown 2.0 readathon is taking place from Saturday 25th July (today!) through to Friday 31st July and I've decided to take part! 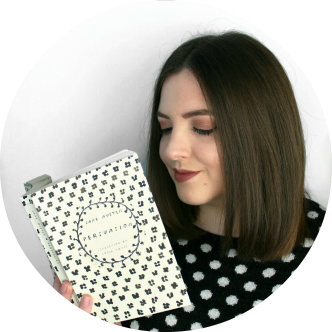 This readathon is hosted by Shannon from LeaningLights (you can see her announcement video here) but various people will be hosting sprints, challenges and giveaways over on Twitter so it's best to check out #TBRTakedown for updates. I decided to participate to try and tackle my ridiculous TBR a bit (124 books right now *cringes*) and there are five TBR challenges for this readathon but it's a casual readathon and there's by no means any pressure to complete all the challenges or any at all. Since I have a bit of a crappy history with readathons (see my RYBSAT fail), I am going to be trying a bit harder this time to read as much as possible. So here are the five challenges and the books I've planned to read for each of them. 01. 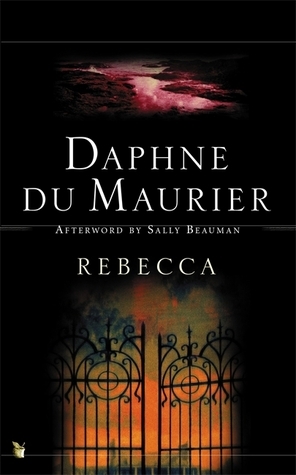 The first book in a series. For this I'm going to be reading The Secret Hour by Scott Westerfeld. This is the first book in the Midnighters series; a series I knew nothing about until I found the trilogy in a charity shop and decided to pick them up because I've enjoyed Westerfeld's Uglies series. I'm not 100% sure what this is about but I know that it's YA paranormal and I chose it because it's been sitting on my shelf a while and it's relatively short at 276 pages. I've chosen to read A Grimm Warning by Chris Colfer which is the third in The Land of Stories series. This is a middle grade fantasy series which plays on the concept of fairytale retellings. I read the first two pretty much as soon as they came out but I received this one for my birthday last year and haven't got around to picking it up yet and now the fourth book is out I figured I really should get to it. This one is a little longer but as it's middle grade I should get through it fairly quickly. 03. On your shelf for over a year/the longest. I have no idea which book has been on my TBR shelf the longest, but the fact that I can't even remember buying Darkly Dreaming Dexter by Jeff Lindsay suggests that it's probably been there for at least a couple of years. I bought this because of the TV show Dexter which is one of my favourite shows ever and I wanted to see if the book it's based on is any good. I've never felt a strong desire to pick it up so it's kind of now or never and if I don't enjoy it then I'll probably be unhauling it. 04. Out of your comfort zone. I had a bit of a hard time with this one as I'm a very varied reader and am usually open to anything but in the end I went for Ugly Love by Colleen Hoover. This is a new adult romance and has gotten a huge amount of hype in the blogging/booktubing world which in itself has kind of put me off. I'm not hugely into adult romances but Colleen Hoover gets such high praise that I've decided to give it a go. 05. A book from your most recent haul. This book is so new that I haven't even hauled it on the blog yet. I went to Sainsbury's the other day with my boyfriend and couldn't help looking in the book section as always, and was surprised to see a lot of discounted books. I bought a few and one of them was Not That Kind of Girl by Lena Dunham. This book has been in the back of mind ever since it came out and I was planning on picking it up at some point so why not now? I think after all that fiction I'll be in the mood for a bit of non-fiction and I love Lena Dunham so I'm really looking forward to it if I can make it that far into the readathon. I'm super excited for this readathon and I'm so determined to get a lot read. I'll be posting a midweek update to let you know how I'm doing and you'll also find me tweeting (@sarahs_chapter on Twitter) and instagramming (@sarahschapter on instagram) my progress. Are you planning to join in on the TBR Takedown readathon? Let me know! It was helpful in speeding up my reading but I definitely didn't manage to get through all of them!